If you have been following my blog closely, you would have noticed that my recipes do change with time, often with improved techniques or changes in ingredients. 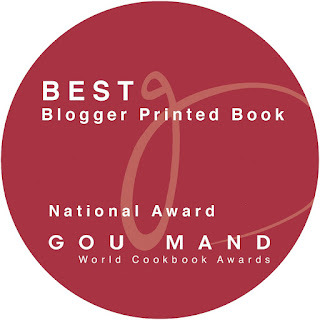 That is the advantage of a cooking blog compared to a static cookbook. I think in this day and age, the best is to use both. And yes, I am working on my cookbook, often at a pace slower than I like due to lack of inspiration, energy or just simply the busyness of life and work. 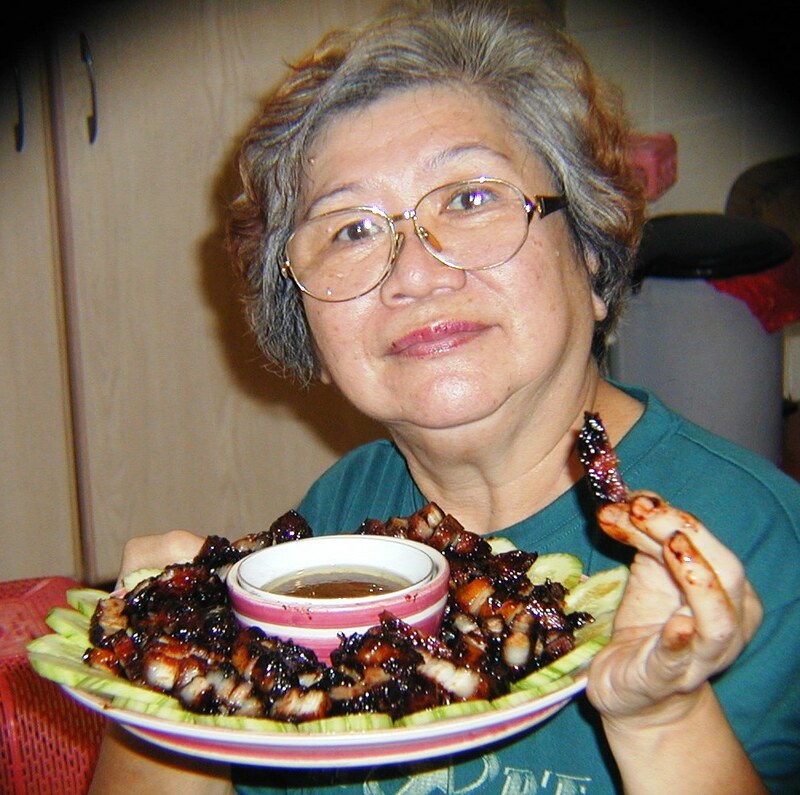 When it comes to my Mum's Char Siew recipe, I have yet to find a good reason to improve on hers. I have made changes at times to get different flavours, adding hoisin sauce, 5-spice powder and so on. I have used different cuts of pork and experimented with the Sous Vide way. My struggle is in trying to replicate her recipe more consistently. I had met someone in Toronto who had been trying to use her recipe and met me in person only to find out that it was my blog. Goes without saying that he can cook CS confidently ever since. One of my late uncles' tasted some Char Siew offered by a friend and immediately said that it tasted like his sister's. True enough, the person cooked off her recipe on the blog. And many other stories written in by happy home cooks who have realised that they can make delicious CS at home. A trip to Chinatown is no longer necessary. 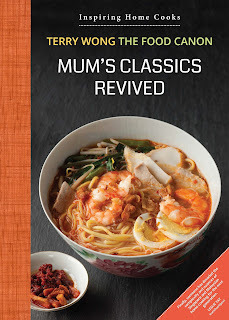 Indeed my Mum's CS recipe and the way it has been shared through this blog captures who she was: always willing to share, a practical and sensible approach to cooking and always seeking to cook well for daily meals, to keep her family happy. An incredibly positive and encouraging person, cooks love to hang around her and you can bet that her ears are always pricked up for new tips. Her recipe is definitely spot on if you want a simple, fast and convenient way of making delicious char siew. All the ingredients can be found in your kitchen. You can always have a kilo of pork belly kept in your freezer, as I often do. And from start to finish, it takes about 45 minutes. Marinating it beforehand is optional. Eat it with slices of fresh cucumber. Some coriander leaves if you must. That is Char Siew Rice, of course. A kilo of pork belly cost between 12 to 15 per kilo here. That can easily feed 6 pax. I have documented the techniques elsewhere and please read to get some ideas. Simple as it may be, it will take many tries to perfect it and to cook it with some consistency. As many readers have discovered, even at the first try, the results are often satisfying. I think what has surprised many is that Char Siew can qualify as a regular home dish if it is cooked the wok way. For a dish to qualify as one, it needs to be cheap, fast, simple and oh well, happify the family members. I paste here again my Mum's recipe. You may find her list of ingredients too short and unnerving. Think of the flavour fundamentals: sweet, salty, bitter, sour and umami. Char Siew certainly needs to be sweet, with saltiness playing second fiddle and definitely, some umami (from charring). Once you understand this, you will realise other flavours are very optional i.e. soy bean flavours, spices. The wok will end up looking quite a mess, depending on how charred you want your CS to be. Use a iron, steel or carbonised steel wok. Don't use a non-stick type. To clean, pour some water in and heat up the wok. Using a spatula, you should be able to easily scrap off the charred stuff. I have used my wok countless time for CS-making and it still look good, normal and usable for other uses. It does not have all the cooking details but good as a "at a glance" check for someone cooking it. And if you are stuck, you can try calling her phone if you find her son unhelpful as a cooking guide :). What's the purpose of the soda bicarbonate? Tenderise the meat? Can I wash away the soda bicarbonate after 20min before cooking? Hi. New to your blog. What is the water for in the recipe?